"This course covered so much ground and in such great detail that it felt very confirming, even enlightening"
I think there’s always an inherent “I’m not sure if I’m doing this right” feeling about being a floral designer, but this course covered so much ground and in such great detail that it felt very confirming, even enlightening, giving me confidence to keep moving forward. "Nowhere have I been able to find this information from such a well-respected designer." 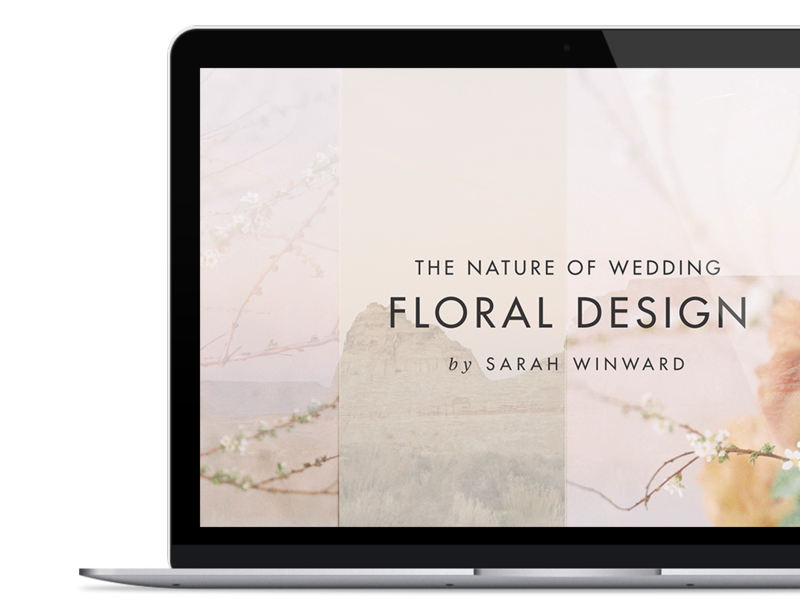 Sarah's honest, candid approach and willingness to discuss how she budgets, quotes client events, prepares visual proposals, and pays herself is particularly refreshing in a world of floral workshops, one-on-ones, and courses. Nowhere have I been able to find this information from such a well-respected designer. "I couldn't quite identify what some of those blind spots were until I took this course." I have experienced a lot of frustration and a huge learning curve in trying to add more movement to my work while still maintaining a desired shape. I couldn't quite identify what some of those blind spots were until I took this course. 2 day workshops (without travel) with Sarah Winward begin at $3,200, while hourly coaching starts at $300/hr. Now you can gain continuous access to 12 hours of her teachings for only $1,078. 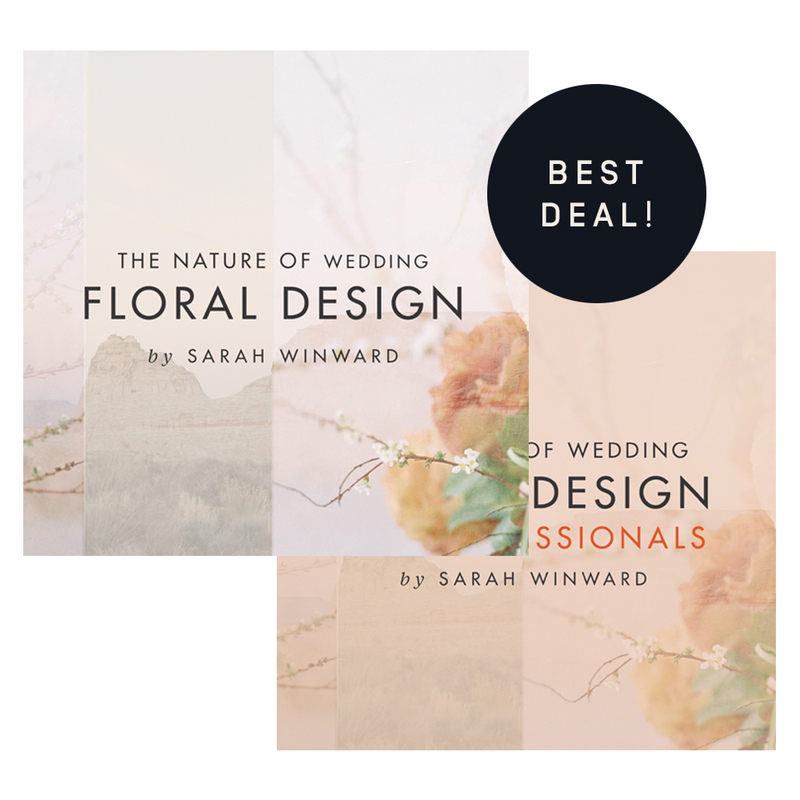 Both courses purchased together is a combined 500+ pages exploring floral design and business development with Sarah Winward. 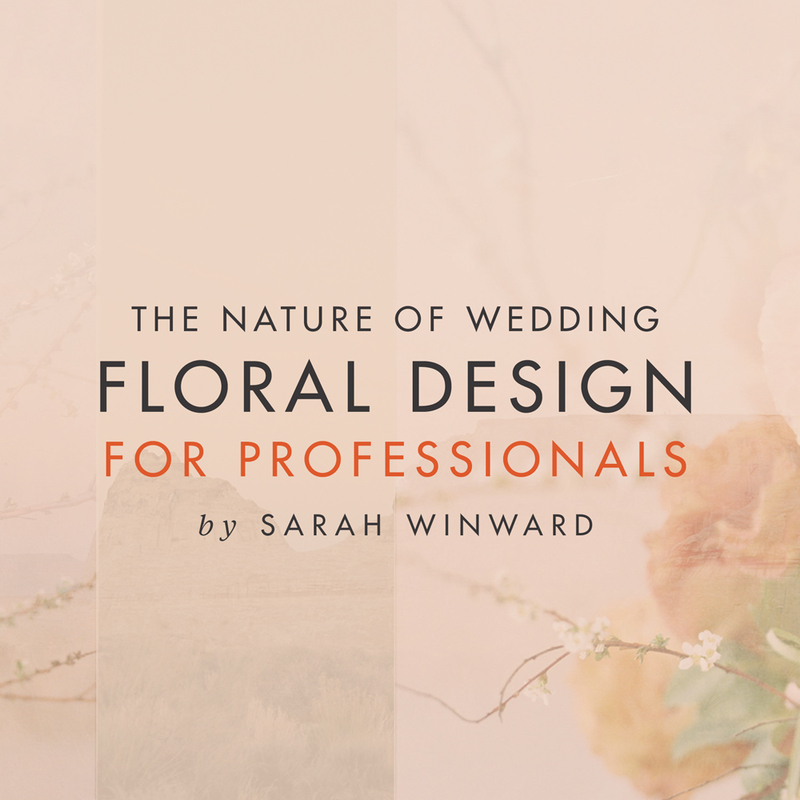 I've attended one of Sarah's floral workshop's before. Will I learn anything new in this course? This course has all of Sarah's theories written out in text and demonstrated with video, photos, and specific event case studies. Your time with Sarah in her workshop was mostly focused on hands-on designing. 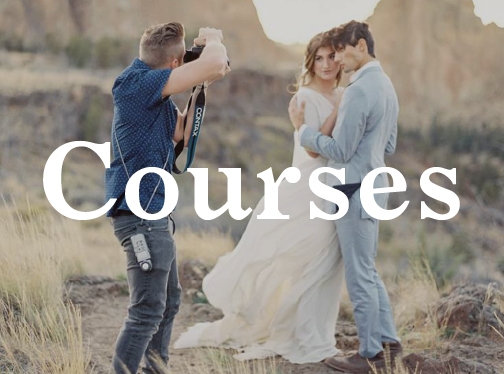 This course contains the lessons taught to you during the workshop, packaged in a tangible way for you to refer back to as you continue to design and evolve. 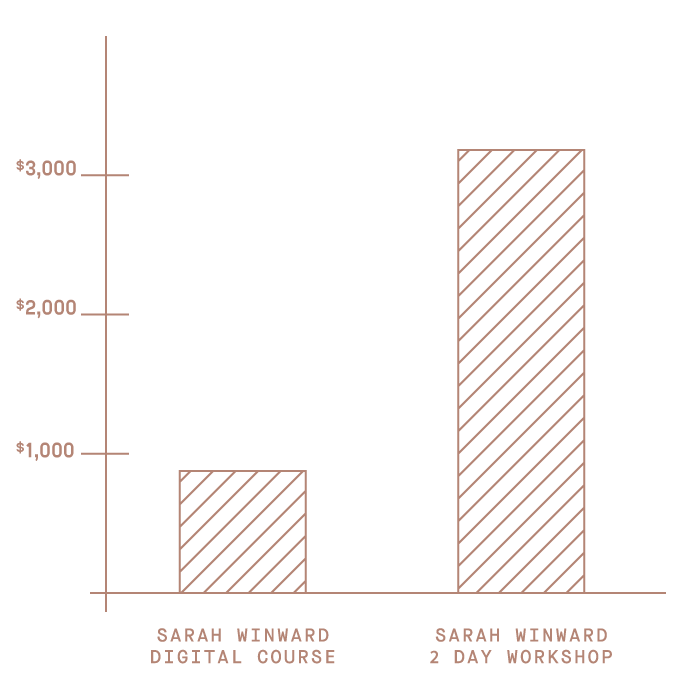 Most of Sarah’s workshops are design focused. As well as the digital design course, we are also offering a business course from Sarah. This is geared towards those who want to focus on building their business and learn about Sarah's path to where she is now. Not at all! 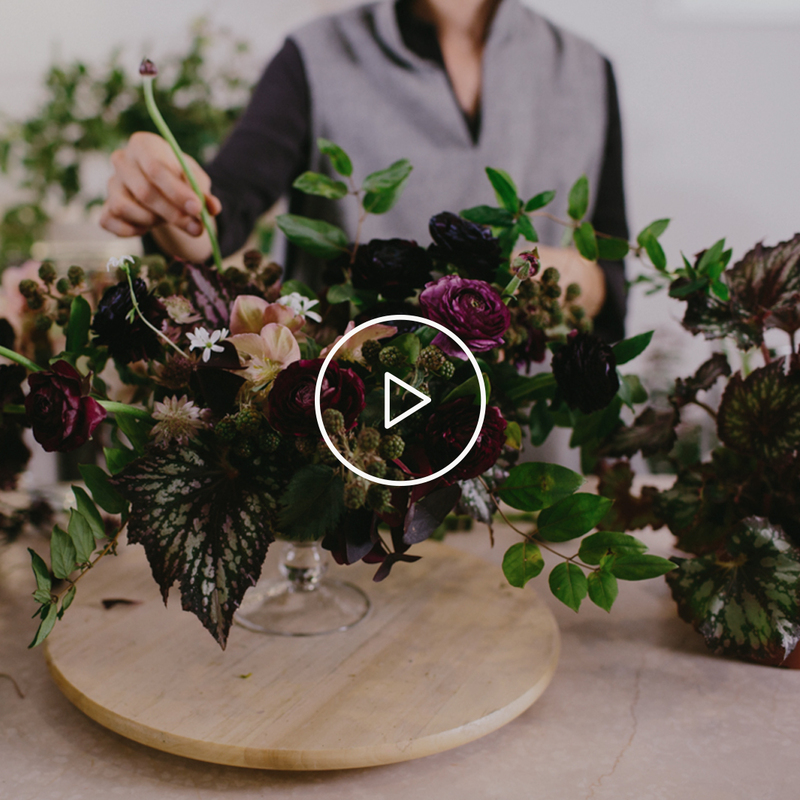 Sarah is a self-taught florist and the takes the time in this course to talk you through her process from starting out to where she is now—and how she has evolved throughout that time both as a designer and business owner. Yes! Sarah started doing flower just by making arrangements for fun for herself too. 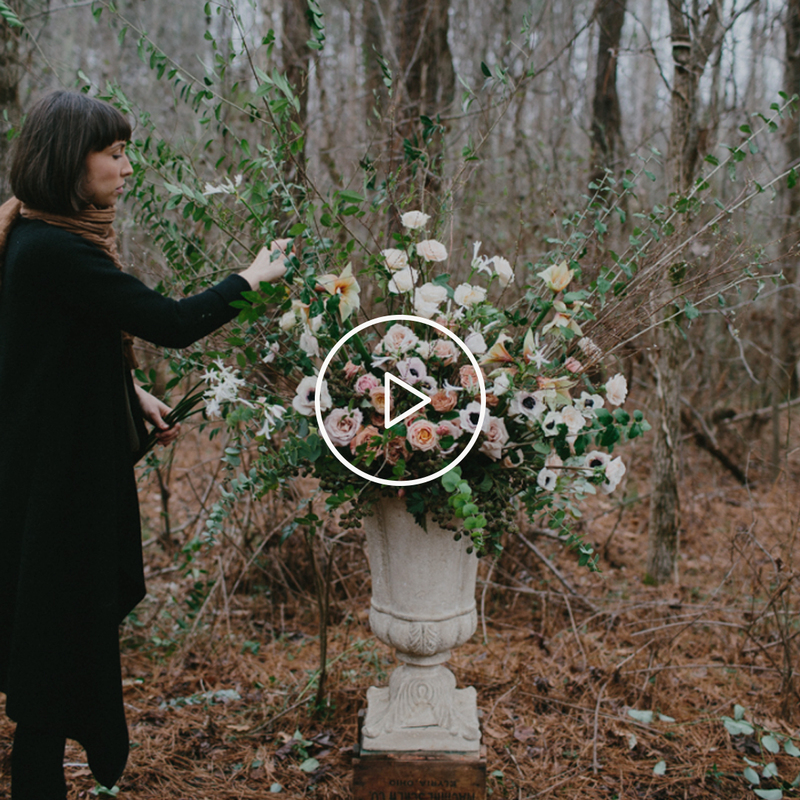 The design course introduces you to Sarah, what inspires her, and how she incorporates that into her arrangements. She teaches you how to make several different types of designs. You will also learn practical skills about flower care, and vase preparation. I've been a florist for 5+ years. Is this course only for beginners? A: If you love Sarah's style and want to learn more about it, then there is information in the course that will be valuable to you. 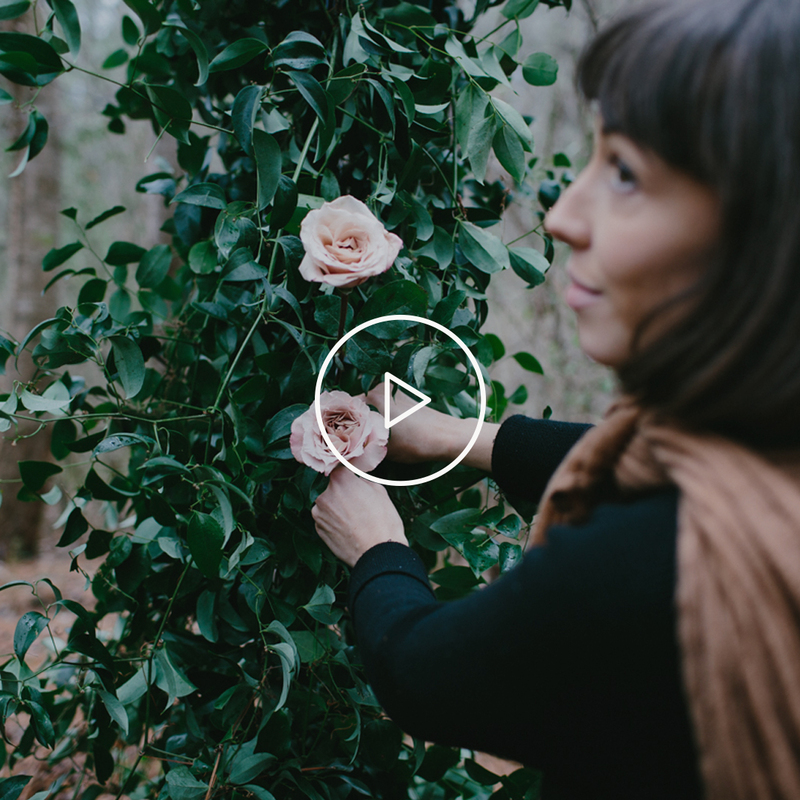 Sarah walks though both stylistic and technical details of how she makes her flowers and runs her business. What's the difference between the design course and business add-on? 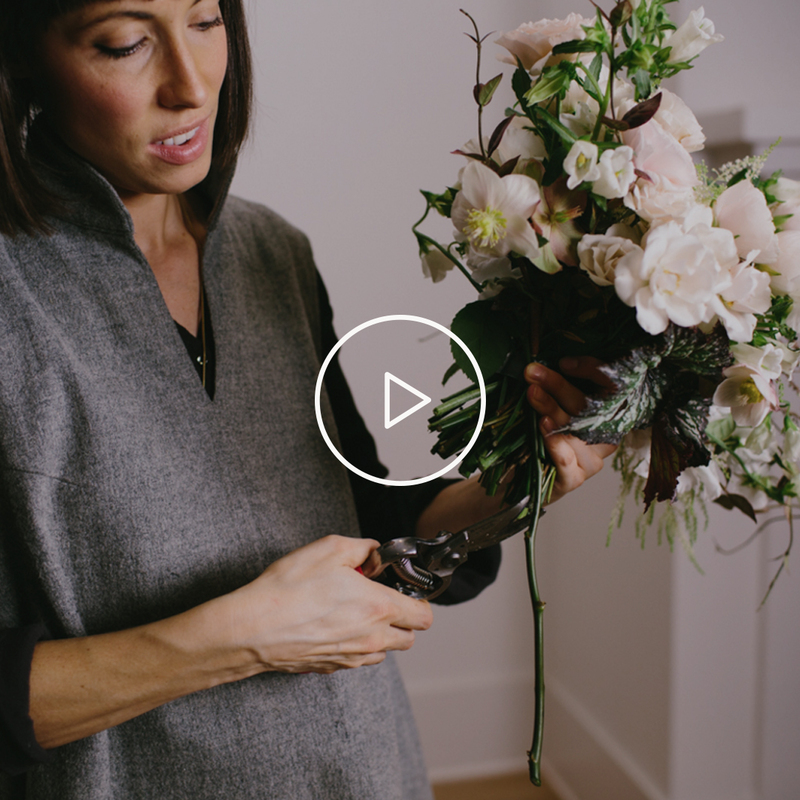 In The Nature of Wedding Floral Design, Sarah explains where she gains her inspiration, and how she incorporates that into her work. She walks you through several different designs and teaches her philosophy on how to create each piece. 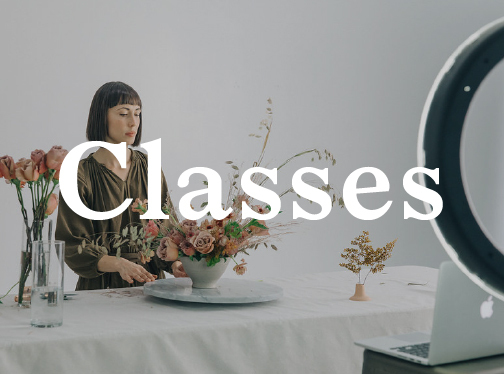 This is a design-oriented course with a focus on creating flowers. 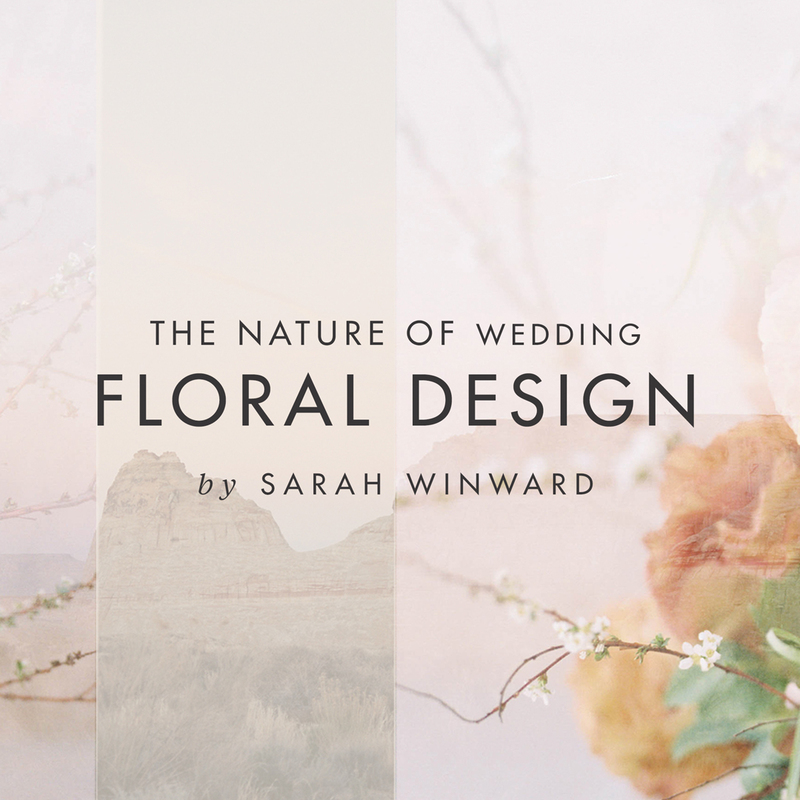 In The Nature of Wedding Floral Design: For Professionals, Sarah walks you through how she got started in the floral industry, how she turned a hobby into a business, and how she has made that business thrive. It is geared towards those who want to know more about how Sarah operates her business, works with clients, and executes the jobs that she does.